ARE YOU READY TO COME & TRY? New paddlers are always welcome at our club regardless of experience, gender or fitness, but you must be at least 10 years of age. You can join in on up to 3 of our training sessions free of charge so you can get a feel for the sport and a taste of what our club is like. Click here If you’re interested in attending one of our come and try sessions. The Brave Hearts’ shed is located behind Gateway Lakes opposite Gateway Village. Continue following Lemke Rd until you get to the Parklands Albury Wodonga office on the right, we are on the left. You’ve tried out and know you’re hooked? We don’t blame you. You can fill out our application form here. Details for payment is on the form, and you can email or bring it with you at the next training session. Dragon Boating does not come without it’s costs. 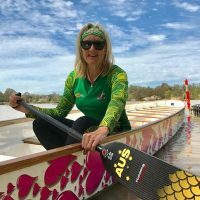 Competitive paddlers are looking at a cost of approximately $120 per regatta for regatta fees, travel and accommodation. Our team manager will organise group travel and accommodation to help keep costs low. Although we provide paddles and PFDs, serious paddlers would be looking at getting their own. A good carbon fibre paddle will cost between $150 and $300, and a PFD can be purchased from between $50 and $150. Being part of a local club is the first step on your pathway to success in competing at national and international level. 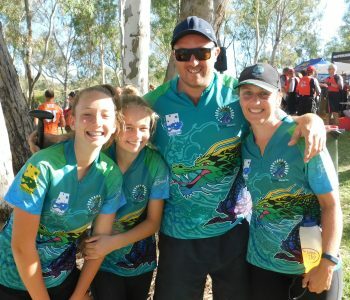 Applications for the Victorian State Team open mid season and successfull applicants will find themselves competing with the best in the state to take home gold against the other states at the annual Australian Dragon Boat Championships. The Auroras are Australia’s elite paddlers, they train extremely hard and travel worldwide to compete at global dragon boating competitions. The Aurora’s crew is so large that it has more members than the Australian Olympic team. In 2017 Nerida Millward one of our own Brave Hearts was successful in competing in the world championships in China. Well done Nerida!! !